The man’s body lay still but his spirit floated overhead. He was able to look down and see his body as it lay seemingly asleep, on the bed- in its hands were clutched a picture. His consciousness then travelled out of the building, with the walls being no obstacle, and began to move down the street. Further and faster it moved, with the surroundings blurring by, until it came to rest half a world away, observing the woman in the photograph. Using astral projection, this psychic was able to find the object of his desire near instantaneously. Astral projection, also called astral travel, is a paranormal phenomenon that some who claim psychic power are said to posses. The general idea behind astral projection is the ability of the psychic to project outward his or her conscious state, while leaving the physical body behind. In this manner the astral body—sometimes referred to as the spirit—may then travel without the boundaries of the psychical world hindering it. People who say they can astral project will use this ability to observe important events, to gain enlightenment, or as a test of their psychic ability. Others say they can use this ability to travel backwards and forwards through time, and yet others claim there is an other world, an astral plane, that can be travelled only by those who can project their astral selves on to it. Another psychic discipline is thought to be linked to astral projection, or to be form of it. Remote viewing is the ability to see beyond the limitations of physical eyesight. With remote viewing the psychic can see things locked in a box or miles away from their physical location. Some say that they way they achieve this is by astral projecting and then “physically” travelling to the location and observing the target. The psychic then calls the astral body back to “base” with the knowledge of what has been observed. 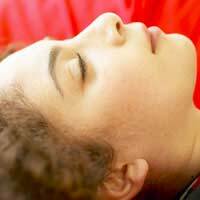 Some draw a distinction between Astral Projection and what is known as Ethereal Projection. With the former it is sometimes reported that the psychic doing the projection encounters strange beings and fantastic worlds that are impossible to reach in any fashion beyond that of astral projection. To make the distinction between this kind of fantastic travel and experience and the psychic travelling in the mundane and physical world, the second kind is referred to as Ethereal Travel. To do so one is said to be using their etheric body as opposed to an astral body. For those that draw distinctions each is a separate discipline that must be studied and cultivated individually, although many of the meditative techniques used are shared between them. Astral Projection provides its user an amazing ability to access experiences and knowledge that would otherwise be beyond them. The sceptics weigh in, however, on the lack of proof. There have not been any satisfying laboratory run tests that have proved the existence of astral—or ethereal—projection. Only anecdotal evidence exists to date.